Last week Oppo unveiled a couple of highly capable mid-rangers, with slender metal bodies, octa-core processors and advanced camera hardware and we asked you – hot or not? 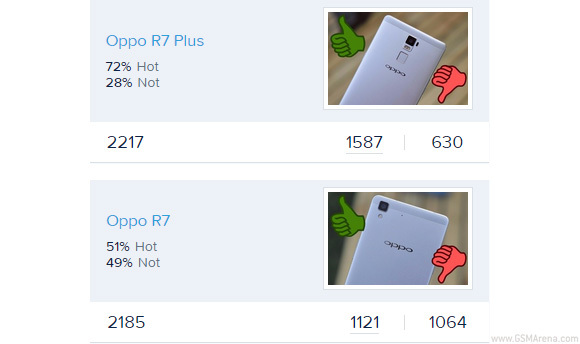 While both fall under the R7 name, the Oppo R7 Plus got a much warmer reception. The R7 Plus got the thumbs up in a 2:1 ratio and we can see why. The roomy 6″ AMOLED screen is already appealing enough, but the added fingerprint sensor and a camera with an ISOCELL sensor and laser autofocus make it an over-performer in the mid-range field. 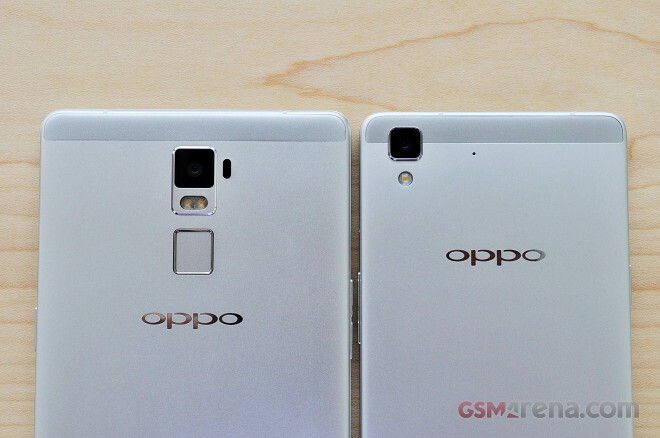 As for the smaller Oppo R7, the thicker bezels around the screen didn’t win any fans, unlike the bezel-less design of the R7 Plus. The fingerprint sensor of the R7 Plus earned some supporters, but the R7 doesn’t have one – another strike against it. The final result is lukewarm, the Hot votes barely topping the Not votes.